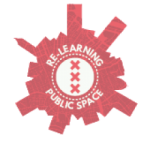 Urban researchers, planners, communication experts, geographers, architects, as well as active citizens, policy makers trace the stories behind contemporary appropriations of public space. They identify related dilemmas and formulate research questions by liaison with locals, designing an alternative city guide inspired by a set of broad, yet timely themes: The ludic team focusses on the affordance of creative reuse an play in the city, grounded in co-creating public space. The circularity team focusses on self-sufficiency in the city, as manifested by places of gathering and sharing and tangible in productive urban landscapes. The informal team focusses on emerging inequalities and politicisation/de-politicisation, as a result of global commons and local governances of urban places. The wild life team shifts focus to the place of animals in our city. The mass tourism team shines the light on the effect of visitors, travelers, and short-stay residents on the public sphere.